Here I discuss the best ping pong rubbers for control and spin. 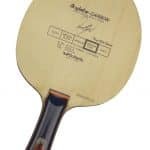 There are many ping pong rubbers out there and most professionals use different ping pong rubbers for backhand and forehand. I looked at what best and I mean the best professionals are using and came away with the top six rubbers one should be considering. Here is the list of top three forehand and backhand table tennis rubbers used by the top players. With some variations, these are basically the top ten table tennis rubbers. Notice the pattern above, Butterfly makes the top rubbers used by professionals! With Butterfly Tenergy 05 being the most popular rubber for forehand and backhand. Before we go any further, the top table tennis player in the world Ma Long (from China) uses the following setup. For entertainment, check out this video of his top shots on Google YouTube. He uses the Timo Boll Spirit blade combined with DHS H3 Hurricane Neo Table Tennis Rubber for forehand. Ma Long – aka the flying dragon – uses forehand topspin to win most critical points. So clearly for an amazing top spin, you need to have H3 Neo. Here is a little a bit more about this sponge. In my view, this rubber is designed for control and spin. The rubber thickness is 2.2MM/2.15MM. The rubber hardness: 39/40/41 degree. Its color is black while the sponge color is orange. A super spinny rubber is usually 2.3mm or above thickness. This rubber is not as thick, which allows it to have a stable and high-speed arc. A lot of top players use this rubber for forehand and backhand. This is a very spinny rubber and a lot of European players use this including Timo Boll. It’s made by Butterfly and is made in Japan. So you know it’s a great quality rubber. On Megaspin, it has over 170 4.5 star reviews. So you know people like it. This rubber has the Spring Sponge technology which is proprietary to Butterfly. In simple terms, the ball bounces off hard from the rubber but it also digs into the rubber more. So what you get is an explosive bounce. So it will take some time to get used to this sponge but if you learn to use it and control it, you are going to be winning a lot of points. Spring sponge feels hard yet its new technology allows it to hold the ball on the racket longer. Tenergy 05 combines this spring sponge with a new tensioned top-sheet with a lot of surface grip. You don’t need to use any speed-glues or tuning. It’s made in Japan, so you know it’s going to last you and last you. This is the only rubber you will see being used for both forehand and backhand. This is a good sponge if you’re playing close to the table. A lot of people will claim only Japanese rubbers are good but if you want speed and control, this rubber is no doubt one of the best in the markets. Wang Hao of China uses this sponge. He is quite aggressive and strong looper if you haven’t seen him play. It’s quite an impressive show of skill, power, and control. I highly recommend this sponge for control. If you have got quickness, moderate spin and you marry this with control, they can’t beat you. TG3 is designed for VOC-Free glue era. This new sponge is vacuum and seal packed, which makes it very explosive. You will notice the quickness right away. It is basically high tension technology rubber, which competes against the Japanese technology. Players claim that it has outstanding control. It was developed for players who pressure the competition with power topspins. This kind of makes sense as it’s quick, you don’t need spin variations. This new sticky rubber has been extensively developed using the latest sponge and rubber technologies. 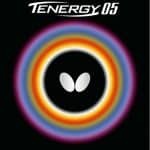 You may have noticed that a lot of players use Tenergy 64 for backhand. First of all, Ma Long -the best player on the plane – aka the flying dragon- uses it for his backhand. If you know his playing style, he stands middle to far distance away from the table at times. This rubber is fantastic for that because Butterfly’s high tension feature has enabled a fast rubber. As discussed above, it has something called spring, so you can reply back to the competition with a heavy spin of your own. You know what I mean, if you play the game, you just got served with a heavy spin and there is nothing more you want to do than slap it back hard but you can’t because the spin throws you off. So the smart thing to do is respond with your own heavy spin. Last but not least, this is the another high tension technology rubber, which is gaining popularity for backhand strokes. Ma Lin of China uses this for backhand. This is the same rubber as Bryce Speed FX. It possesses a more flexible rubber – which is also soft. So as you would expect, a soft and flexible rubber gives you incredible color. If you’re one of those power players, heavy leg power but incredible hands, this may be an excellent rubber for you. The rubber possesses that Butterfly Japanese high tension technology. 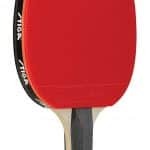 In summary, I would go with DHS H3 Hurricane 3 NEO Table Tennis Rubber for forehand top spin attack and Butterfly Tenergy 05 FX Table Tennis Rubber for backhand. The latter can be used for forehand as well, so which will give you some backup in those tricky playing situations when you want a strong spin. I hope you like this article on best ping pong rubbers for control and spin. On a related noted, we have reviewed best ping pong paddle for spin here and best ping pong robots for training here.